No time for words today so I hope the image stands on its own. Not sure what it is about street lines that appeal so much to me, but they do! Well processed image Mark, and I like how the sky looks in comparison! It truly does, Mark. LOVE the lines in this shot, roadways are always such a dramatic subject in my opinion… great capture & wonderful processing, my friend! 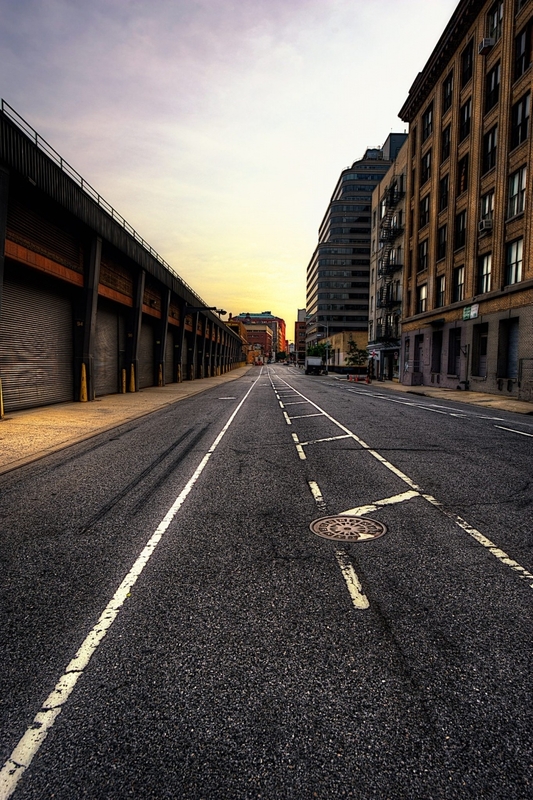 Love the gritty, grainy look on the surfaces, and the road marking makes a great lead in line… Nice image! Great image Mark! Love all the detail and how tones in the sky fade from purple to yellow.